“A country which contains more strange and new and beautiful natural objects than any other part of the globe” (Sir A.R. Wallace). 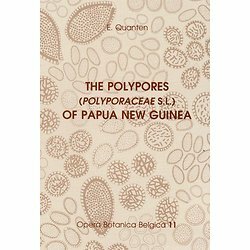 The present book revises the polypores from this biological paradise, the second largest island of the world. It mainly includes a revision of more than 2000 exsiccata made during recent Belgian expeditions to Papua New Guinea, but also incorporates a reexamination of specimens conserved in Kew, Leiden and elsewhere. 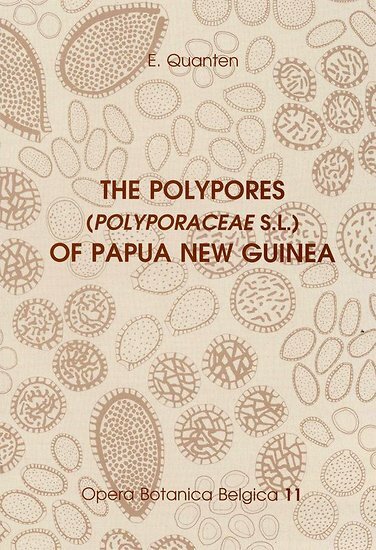 As a result, the present first polypore conspectus of Papua New Guinea inventories 230 species: 40% of these are here reported for the first time from the island. The systematic part of this book includes a full treatment of the taxa, with bibliography, description, illustration, habitat information, distribution map and specimen citation for each. It is preceded by a general part dealing with morphological characters and their evolution, decay and pathology, and mycogeograpihcal considerations.